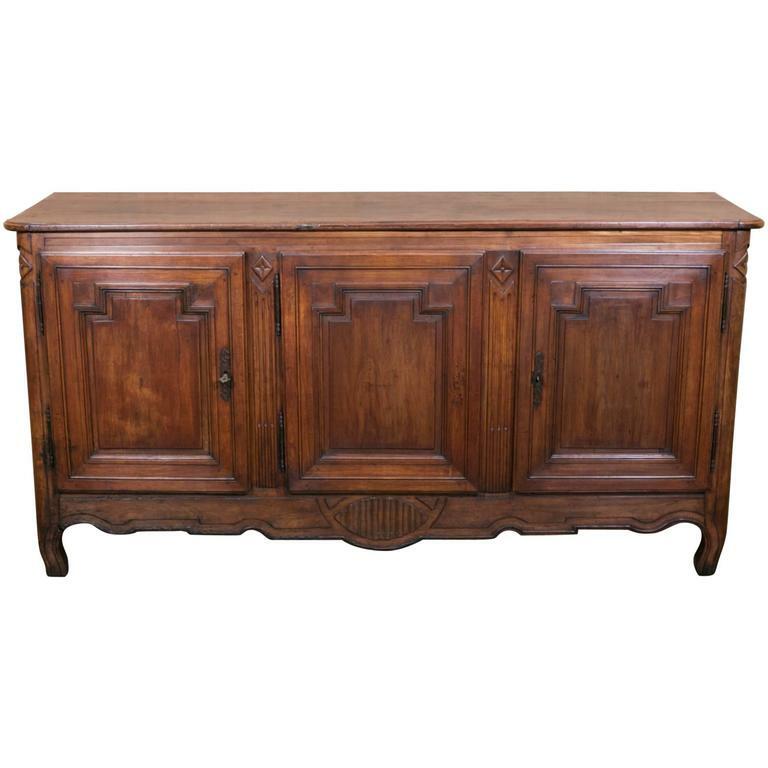 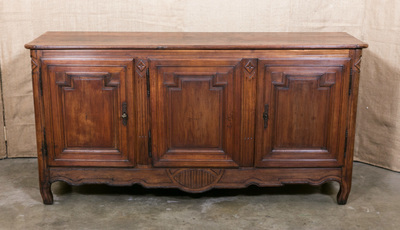 Beautiful 18th century walnut enfilade buffet handcrafted by skilled artisans from the Lyon region during the French Transition period (1750-1775). 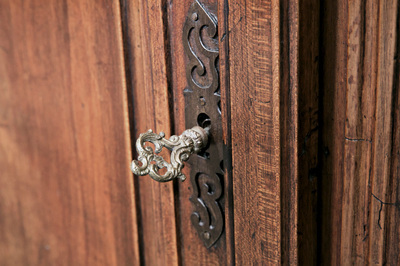 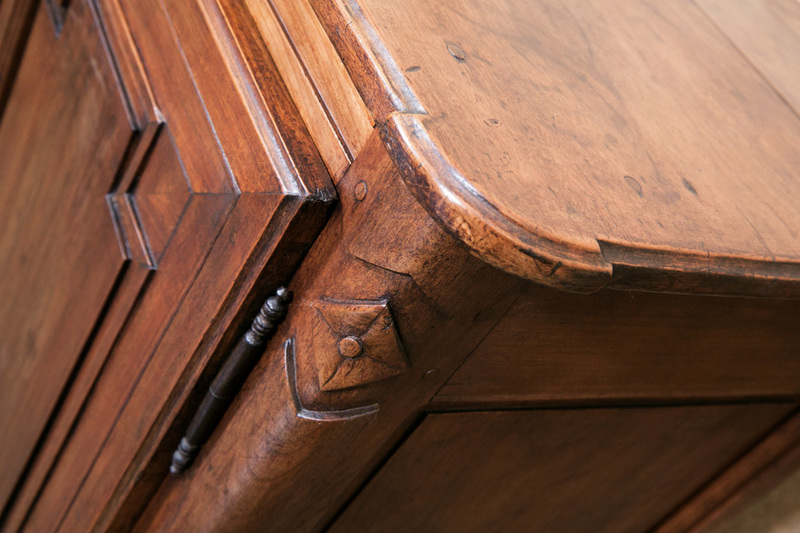 Most Transition period pieces were created outside Paris by provincial cabinet makers and combined design elements used during the reign of Louis XV (1723-1774) with Louis XVI (1774-1792) motifs in the same piece. When Louis XVI assumed the throne in 1774 after his father's death, Rococo tendencies and Baroque excess were no longer popular. 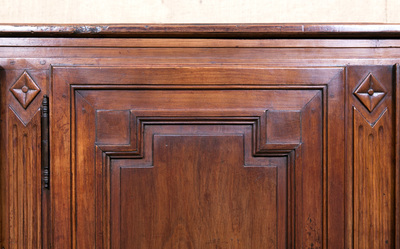 A movement was underway that favored the clean, straight lines of the neoclassical style. 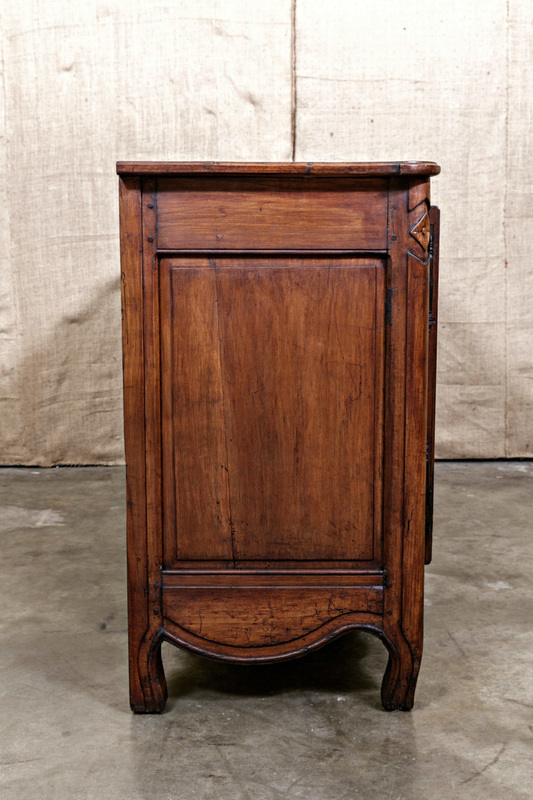 The shaped, carved apron and the short, raised cabriole legs of this enfilade feature timeless Louis XV inspired motifs, in contrast with the straight, rectangular lines of the cabinet doors and the shield carvings, which are typical Louis XVI period motifs. 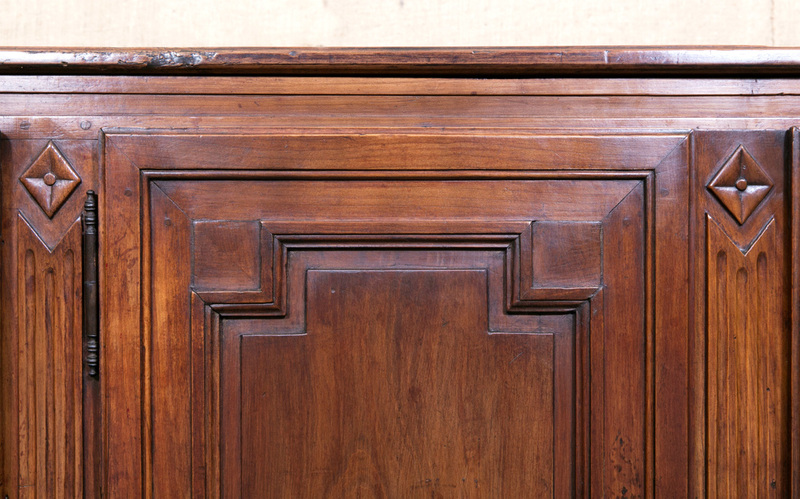 The doors open to reveal a single interior shelf. 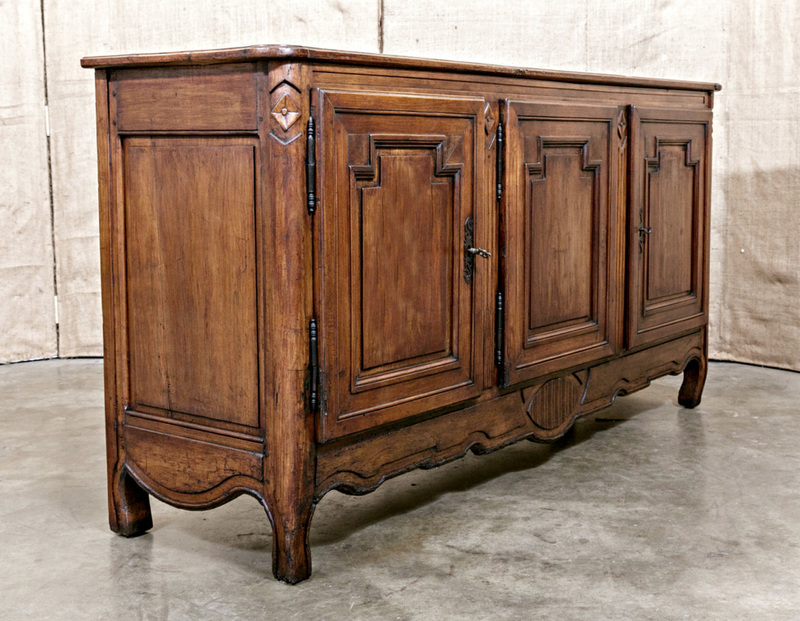 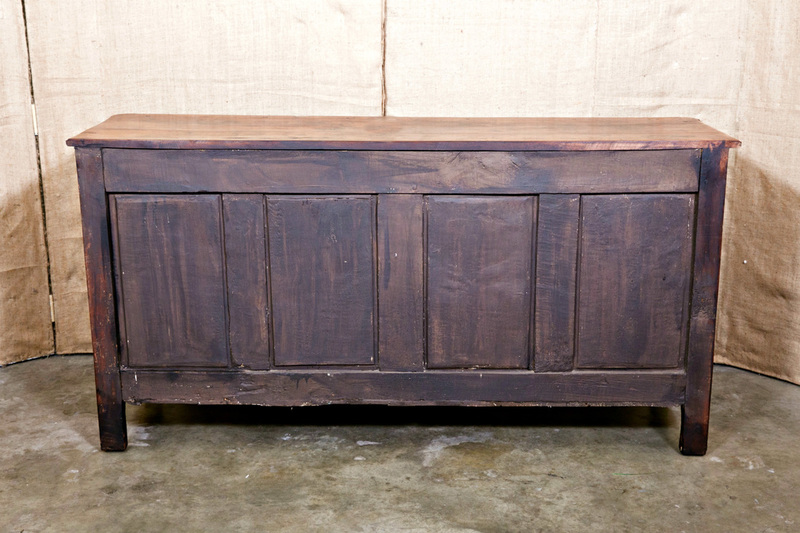 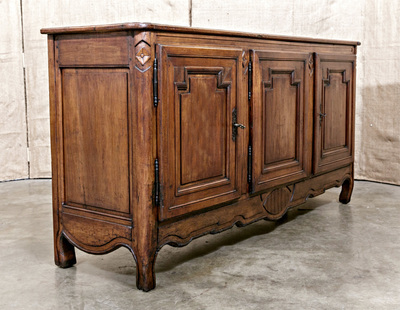 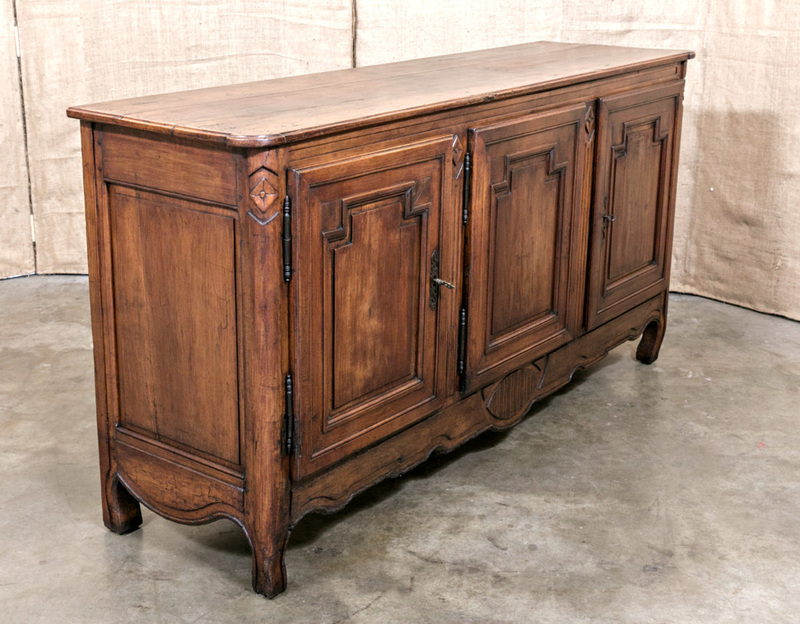 The lovely patina of the hand waxed finish gives the walnut an enchanting luster and enhances the overall desirability of this antique French Provincial enfilade. 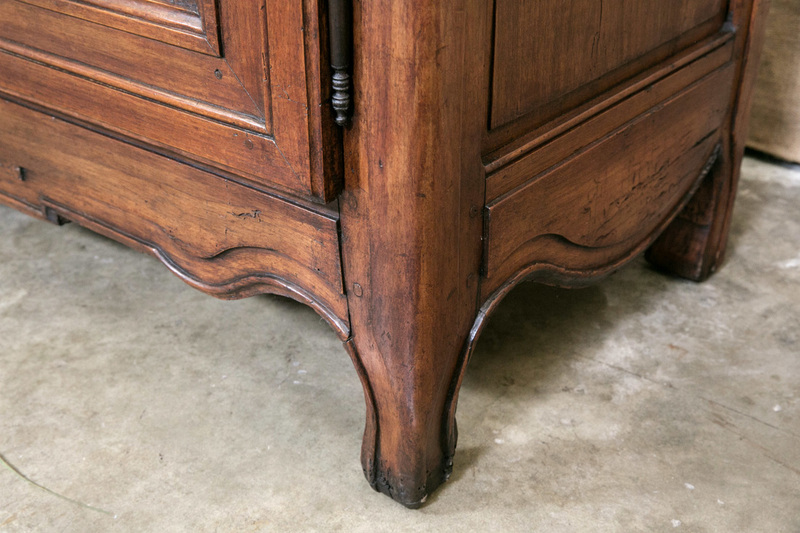 The French word "enfilade" in architecture refers to a series of salons or rooms, formally aligned with one another, that provide a sweeping view through the entire suite of rooms, where on one walked "on file" or "en filade." 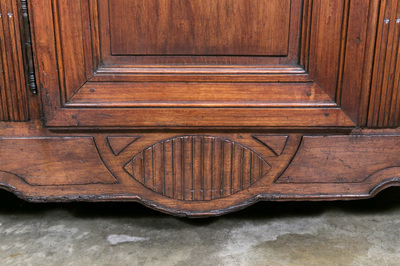 The enfilade served to organize space and vision and is a common feature found in many of France's grand palaces from the Baroque period. 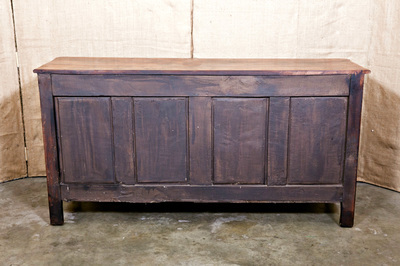 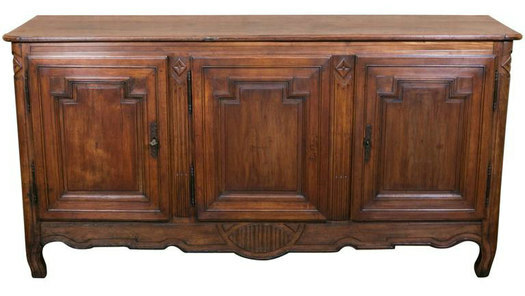 The term later became associated with large scale buffets that had more than two cabinet doors. 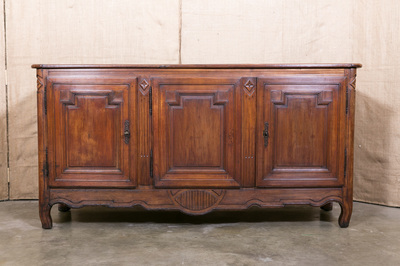 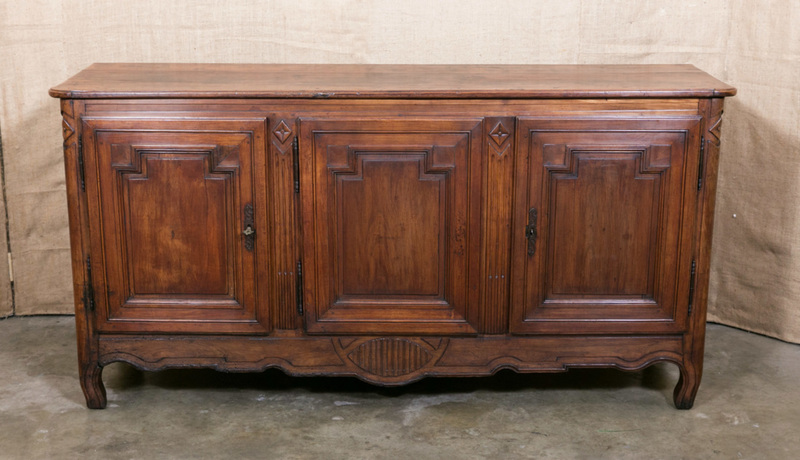 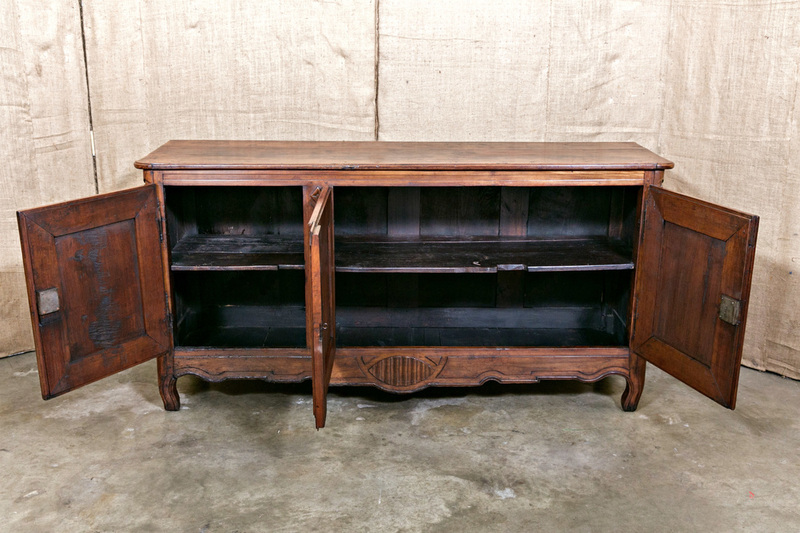 The three doors on this antique enfilade buffet qualify it as an enfilade especially since it does not have any drawers unlike a true buffet which only ever has two cabinet doors with drawers above. When open, all of the doors reveal interior storage bisected by a shelf that effectively doubles the amount of usable space.